Custom Veil - 1 Tier in Extra Fullness - select length between 25-36"
Completely Customize/Build your 1 Tier Veil Here. The length can be customized to any length between 25-36". 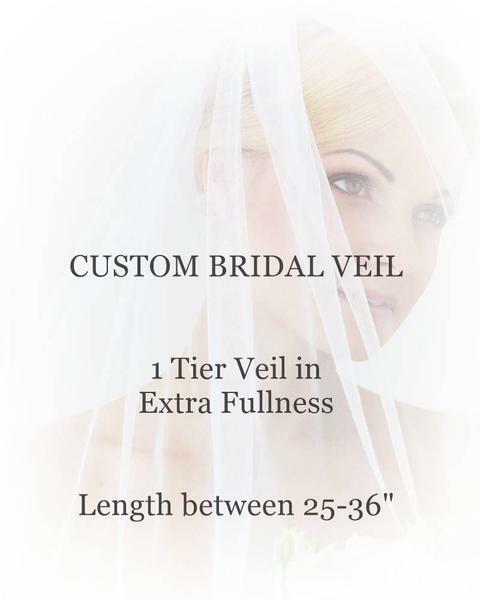 The starting price is for a veil with a plain/cut edging. Price will update depending on the options you choose. Made of 100% nylon Bridal Illusion tulle.